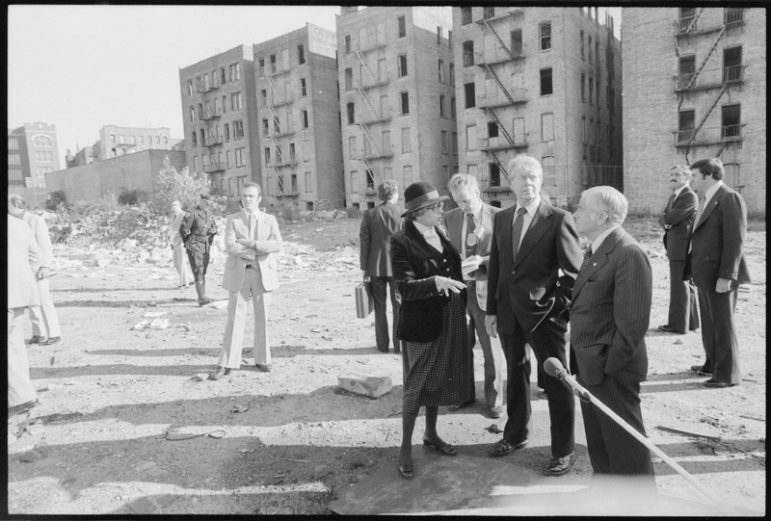 Mayor Abraham Beame (foreground) with President Carter in the South Bronx in 1977. It was in 1975, during Beame’s tenure as mayor, that the city’s Uniform Land Use Procedure, or ULURP, was created. The report suggests it is time for a new approach. The mechanism that the de Blasio administration—like its predecessors—has used to redraw New York’s zoning map and guide development is deeply flawed and in need of a comprehensive overhaul, argues numerous influential organizations in a report released Thursday. The Regional Plan Association and others released “Inclusive City: Strategies to achieve more equitable and predictable land use in New York City,” a 22-page report that proposes reforms to encourage more rigorous citywide planning and community-driven planning, increased transparency around land use changes and an improved process for assessing the environmental impacts of proposed development. The report has been sent to the de Blasio administration and City Council for review. “New York City faces the threats of climate change, sharp income inequality, and intense displacement pressure, and its urban planning practice must rise to address those challenges. 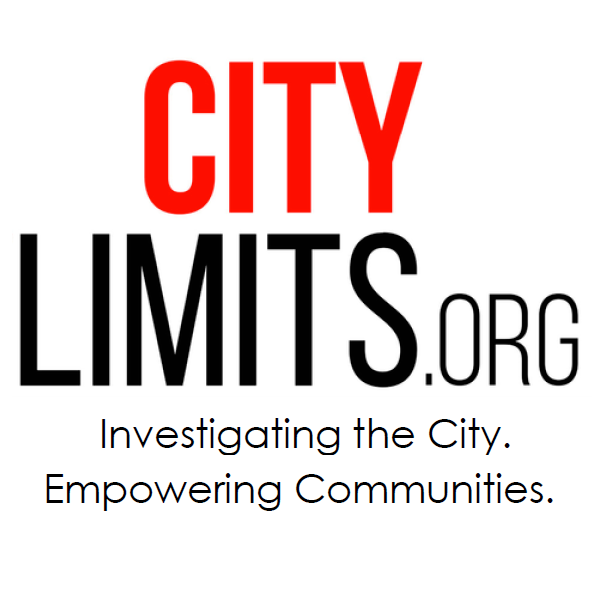 The current system, where rezonings take precedence and community planning and infrastructure investments follow as afterthoughts, misses the mark in addressing local priorities and meeting citywide needs,” said Elena Conte of the Pratt Center for Community Development in a press release. The white paper is the product of a working group that convened in 2017 and was facilitated by the offices of Manhattan Borough President Gale Brewer, Councilmember Antonio Reynoso and the Regional Plan Association. 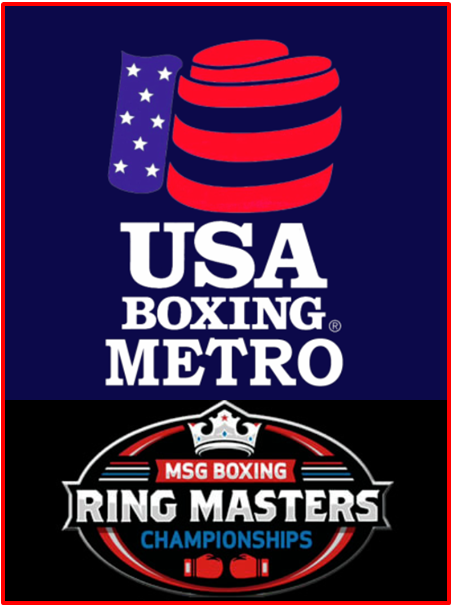 Over 40 organizations and technical experts, including the Association for Neighborhood and Housing Development, Pratt Center for Community Development, Faith in New York and many others were involved, as well as some other elected officials and community board members. The report’s publication comes at a critical moment in time. The de Blasio administration just certified its fifth neighborhood rezoning. The rezonings, which are part of the mayor’s 12-year plan to build and preserve 300,000 units of affordable housing, have faced criticism from advocates who note that they have been mostly concentrated in low-income neighborhoods of color and may bear the risk of exacerbating displacement in those communities. Some advocates have also said that, despite the administration’s community engagement efforts, the rezoning plans are insufficiently informed by residents’ recommendations. The panel suggests changes not only to city-sponsored rezonings, but also to the city’s land use planning processes at large. First, the report recommends the creation of a citywide comprehensive planning framework that is updated every ten years, lays out “community level targets”—i.e. how neighborhoods will share in the responsibility of housing production and public facility siting—and is also created with the aim of protecting residents from displacement. It makes the case against the view, held by some, that comprehensive planning is too difficult a task for the city to undertake. It encourages the city to create a new “Office of Community Planning” that would “serve as a resource to communities, instead of driving planning efforts” and would direct more resources to neighborhood-based planning and create a standardized process by which community-based plans could be approved. As explained by the report, community boards and borough presidents are currently allowed to create their own plans under Section 197A of the City Charter, and while many communities have completed plans, less than a dozen have been approved. Wealthy neighborhoods are more likely to obtain the resources they need to pursue the land use changes their communities desire. Rather than seeing a conflict between encouraging more robust citywide planning as well as neighborhood based proposals, the report recommends the city adopt a New Jersey process called “cross acceptance” through which plans produced by different levels of government are reconciled through negotiations. One would hope this might help to mitigate against community-based planning at its most exclusionary—when affluent neighborhoods attempt to prevent low-income housing, shelters or other facilities from coming to their communities. Part of the process of strengthening community-based planning would be providing community boards with more resources and making them more democratic, according to the report. In the past, some advocates have argued that community boards should be elected rather than, as they are now, appointed by the borough president and City Council. The report doesn’t go this far, but does recommend the creation of “independent screening committees” within the offices of the borough president and requires the borough president to “address inconsistencies between community demographics and community board membership,” among other reforms. Additionally, the report calls for greater public transparency and opportunity for public input for both publicly and privately initiated land-use proposals. The report also suggests that stakeholders should be given opportunities to learn about upcoming, privately-initiated projects earlier in the city’s approval process. The report recommends that when the city conducts an assessment of a land-use action’s potential environmental impacts, “if a community-based plan, vision or principles exists for the associated area, a development scenario that fits into the parameters of such plan should be considered” and its own potential environmental impacts assessed. The recommendation appears to follow from the concerns of advocates during neighborhood rezoning processes in East Harlem and elsewhere that their own community-based zoning alternatives were not weighed against the city’s plans. Noting that environmental impact statements are completed by consultants hired by the applicants of a project and who may be “incentivized to please the applicant and find no adverse impacts even where they may exist,” the report recommends city agency staff review consultants’ documents for accuracy and establish consequences for misleading information. The report also calls on the city to “track neighborhood outcomes after land-use actions are approved for lessons learned” as well as to create a system to ensure that potentially negative impacts that are identified during environmental review are actually mitigated. While recognizing that the new Citywide Commitment tracker allows neighborhoods to track promises made by city agencies in lieu of city-sponsored rezonings, the report says there are still no mechanisms to hold private developers accountable for mitigating potentially negative impacts. It proposes requiring developers to complete all mitigations prior to receiving a certificate of occupancy, or requiring developers to put funds in an escrow account to deal with mitigation costs. Finally, the report calls on the city to convene an expert panel, with its recommendations then reviewed by the public, to update the City Environmental Quality Review Technical Manual, the city’s guidelines for conducting environmental reviews. The report recommends a variety of changes to the manual, including requiring that rent-stabilized tenants be considered in the displacement analysis (the manual currently considers them safe), and “removing assumption that new housing units directly reduce potential for displacement” (the city often argues that adding to the housing supply will, simply by virtue of supply and demand, lower rents). It also recommends a “fair housing” analysis to determine whether the land-use action addresses segregation and other fair housing issues, and an analysis of the exact job benefits—in terms of wage standards, training, etcetera—that will be created through the land use project, among many other recommendations. According to the report, some of its recommendations could be implemented administratively, others through legislation, and a few via a charter revision—that is, a New York City charter revision. In December, Brewer and Public Advocate Letitia James, who also contributed to the working group, introduced a bill at City Council to convene a charter revision commission. Reforming land use and zoning were among their top concerns. This is long overdue. Historic preservation, preservation of neighborhood character, affordable housing, small business support, and the wishes of the current residents of a community must be given more weight. Too many rezonings recently have not taken these things into consideration, causing a great deal of displacement and changing neighborhood character, not always for the better. The RPA puts all these reports out and no one really cares. But I like the 197A provision which gives neighborhoods the chance to propose their own zoning/land use changes. No one cares. And yet … you read and commented on it. At least you care, Native New Yorker! El futuro plan para la avenida Jerome representa una tremenda oportunidad con un potencial de trasformación no solo para los vecindarios circundantes, sino también para todo el Bronx. La rezonificación afectaría a la Avenida Jerome y algunas calles adyacentes, aproximadamente entre la 165 Este y la 184, las cuales están hoy zonificadas principalmente para albergar negocios de autos. Our free print newsletter on the Jerome Avenue rezoning proposal as the debate enters its final chapter. Read. Download. Print. Impress your friends.